Spring is here, a time of change and a new starts. Here are a few hobby ideas designed to make it that little bit easier for beginners. 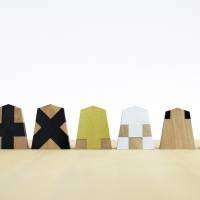 Shogi, known as Japanese chess, is a notoriously complex game to learn, especially for non-Japanese. The use of kanji to identify pieces can be confusing and not only are all the pieces always in play, but on average they also have more than double the number of possible moves those in of Western-style chess. Then there’s the fact that many of the pieces can be flipped over and “promoted” to move differently. 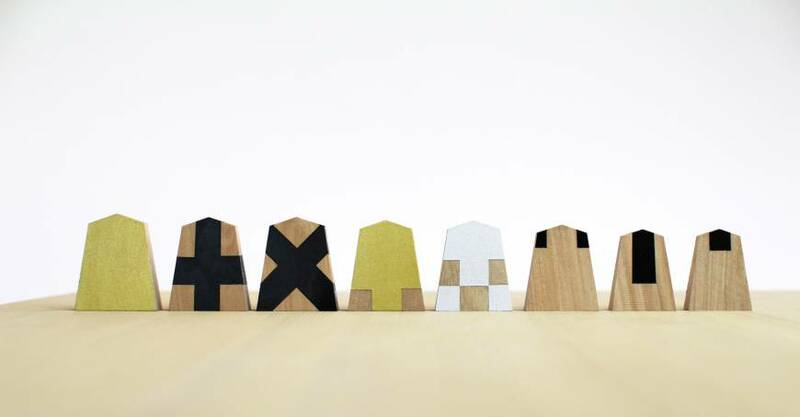 Taimei Inaba of Fundament takes all this on board with his Taimei-Koma, a shogi set that replaces kanji with a set of hand-painted geometric symbols that indicate each piece’s possible moves. All gold for the king, for example, indicates it can move one square in any direction, a black cross means a piece can move more than one space upward, downward or sideways, an X can move diagonally and side markings characterize promoted pieces. Combinations of these and other markings make it easy to identify the pieces and their moves, as well as give an overall picture of strategy. It also just looks really stylish. There are three Tamei-Koma sets available, all hand made in Japan: Kaede (maple) ¥9,720, Onoore (birch) ¥16,200 and Tsuge (boxwood) ¥27,000. 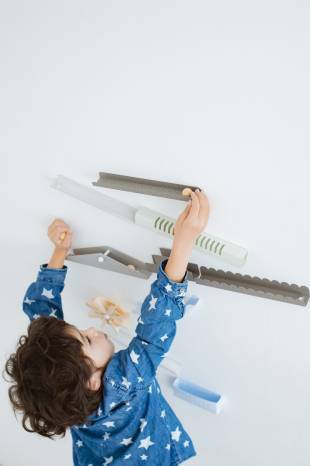 Fans of NHK’s educational TV show “Pitagora Suicchi” (“Pythagora Switch”), which features footage of complex Rube Goldberg machines, will love Satoshi Uemo Design’s Toi-Ball Kit, created for Felissimo’s See Mono brand. Fun as they are to devise, Rube Goldberg contraptions need a lot of space and time to set up. Uemo Design’s kits of tunnels, chutes, propellers and seesaws, however, are made from cardboard shapes that can be quickly assembled and attached to a wall using masking or double-sided tape. All you need to do is use an X-Acto knife to cut out the components, which are also pre-scored for easy folding. Of course, you won’t be able to create sequences as complicated as those on “Pitagora Suicchi,” but Toi-Ball is a good way to grasp the basic idea behind them. 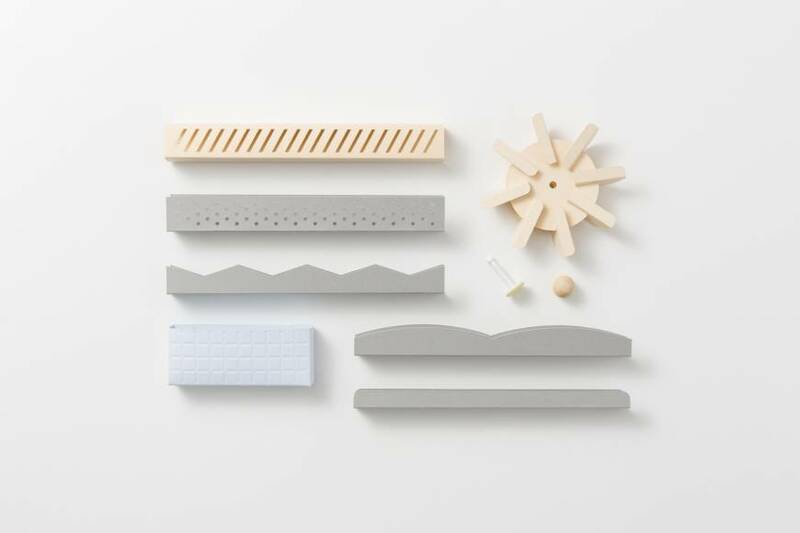 There are six different kits, each with a wooden ball and five pastel-colored sheets of parts. To get all the variations, you need to register for a monthly subscription (¥1,458). You can cancel at any time, but you may not want to, because part of the novelty of Toi-Ball is that the type of kit you’ll receive each month will be also be a surprise. 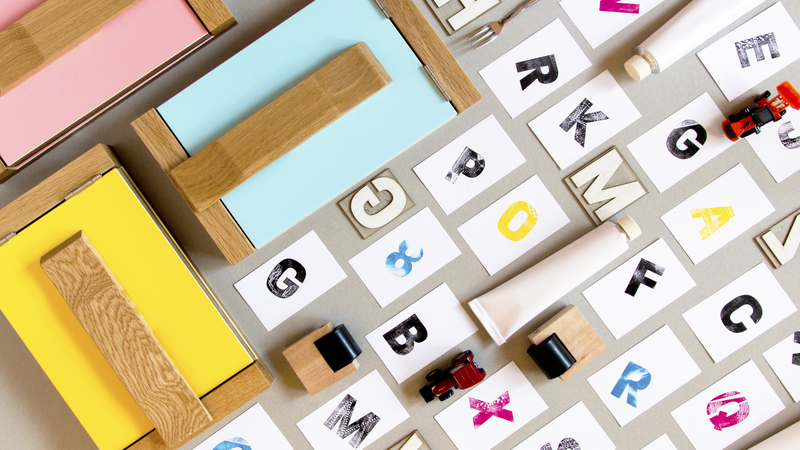 Letterpress printing has made quite the artisanal comeback. When professionally created, the quality is stunning, but often it’s the imperfections of the manual process that make the results even more appealing. Though it was historically done with wooden or metal moveable types, hobby letterpress kits now usually use plastic lettering. Type designer and artist Yuriko Wada, however, has produced Papertype: types entirely made of paper. According to Wada, using cardboard has its advantages. It’s light and portable, but best of all it can be creatively manipulated — ripped, scratched, scored, carved or cut — to produce patterned text. Papertype is a condensed sans-serif type, which gives the letters plenty of surface space to tweak with a design, and the plates are used with a simple, wooden hand press. 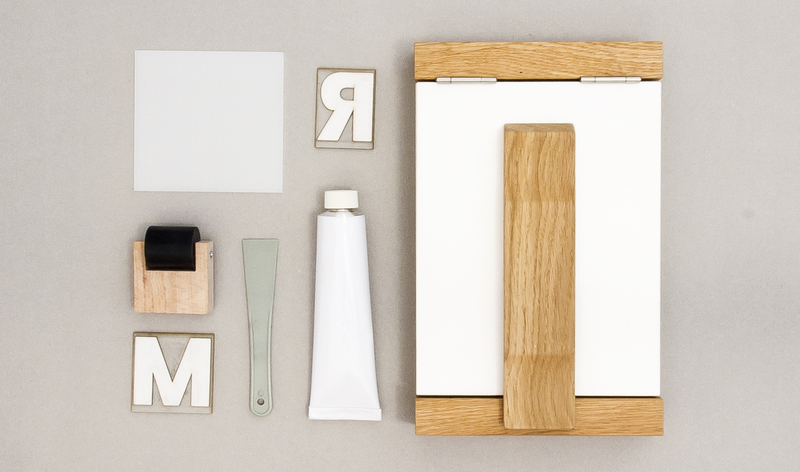 Now available on Makuake, a Paper Parade Print Kit (¥20,000) includes a press, black ink, ink spatula and roller, washing oil and 10 letters of your choice, with different colored inks and letters available for additional costs. See the website for more details.